Welcome to the web site for the Flax Pond Marine Laboratory located on the north shore of Long Island, at 15 Shore Drive, Old Field, New York, 11733 U.S.A. The marine laboratory is operated for research purposes by the School of Marine and Atmospheric Sciences of Stony Brook University. The laboratory building and the Flax Pond Tidal Wetland Area are owned by the New York State Department of Environmental Conservation. The Flax Pond Marine Lab is an active research and instructional facility involved in investigating fundamental problems affecting marine fisheries on regional and national scales. 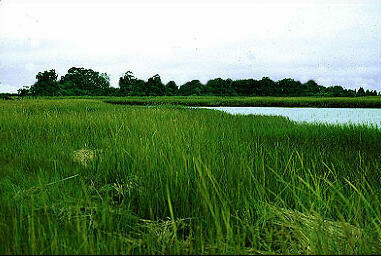 The lab is located at Flax Pond, a 0.6 km² preserve that encompasses an entire tidal wetland area. The tidal marsh is located between Crane Neck Point to the west and Old Field Point to the east at 40 deg. 57.778 min. North latitutde and 73 deg. 8.216 min. West longitude. Increase public awareness of marine sciences. The Flax Pond Marine Laboratory, built in 1969, is a compact, single-story structure with a total of 725 m² of space. A central entryway divides the smaller west wing-dry labs and offices-from the largest east wing-wet (running water) labs, seawater system and pumps. Salt Water is supplied to the lab from a deep sea water well with a salinity of 27 ppt and a temperature of 58 degrees Fahrenheit. Fresh water is supplied from Suffolk County Water Authority. The three wet labs that make up the east wing are furnished with 28 heavy-duty fiberglass sea tables designed for use as shallow-water tanks or as support for deeper-water aquaria, thus providing maximum flexibility to meet varied changing requirements. The tables range in size from 1 x 3 meters to 1.2 x 6 meters and most are free-standing. All tables are plumbed for continuous, 24-hour, sea water flow through an overhead distribution system of 50 mm PVC pipes. The west, dry wing of the building, houses two dry labs, two offices, one cold room, and bathrooms. In 1980 a 90m2 greenhouse was added to the south wall of the west wing, and seawater supply was extended to the greenhouse for the cultivation of seaweeds and marine animals under ambient temperature and photoperiods. The greenhouse was completely rebuilt in 2011. It has automated venting, shading, and forced air circulation. Specially designed cultivation towers are available for culturing microalgae and zooplankton. As an instructional resource, the Flax Pond tidal marsh is the site of regular, but controlled, field trips for marine biology, botany, and ecology classes. Paths, including a 20 m combined bridge and walkway, have been developed to ensure that damage to the area is limited when it is used as an outdoor classroom. Pathways also provide access to the beach on Long Island Sound and to the stone jetties forming the inlet to Flax Pond. A replacement bridge and nature path will be opened in 2018. 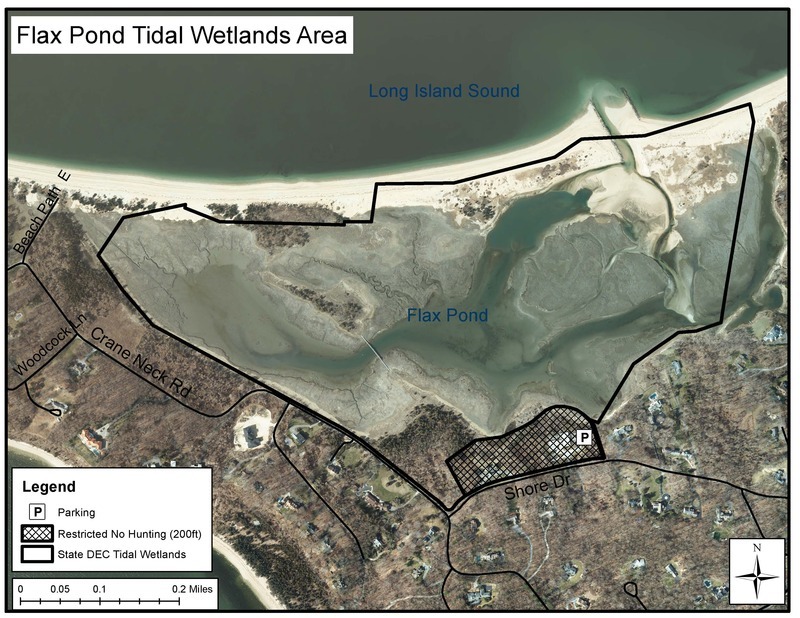 This will allow for Upland ecology classes and greater access to the salt marsh and the barrier beach. As a research preserve, Flax Pond is a complete salt marsh system in miniature that is well protected from stresses caused by man. These features contributed to its selection as the site for one of the most sophisticated and thorough studies ever undertaken to determine the total energy budget of a salt marsh. It is currently being used by SoMAS scientists to study finfish and shellfish ecology, seaweed growth, and the effects of persistent pollutants, particularly PCBs, on the growth and species diversity of planktonic communities. Heating: hot water radiators throughout the building. Fresh water supply: on-site well and pump equipped with 20 um in-line sock filter for particulate removal. Fresh water for use in maintaining live animals is further treated by passing through a water softener to remove copper and iron ions followed by a passage through a series of calcite and sand filters to increase the total hardness and pH while reducing the presence of particulates. Electric power: 220 and 110 Volt is available throughout the building with GFCI available in selected locations. An emergency generator rated for 50 kW of three phase power is maintained on site and is connected to a double hulled, above ground, 1000 gallon fuel-oil tank. Dual intake pipes terminating in a deep hole in the marsh. 12,500 gallon underground storage tank. Intake pumps, 2 capable of continuous operation. Incoming flow rates of 250 gallons per minute, normal operations, and 500 gpm maximum capacity. Filtration systems include: sequential in-line sand filtration, UV filtration, and biological filtration as needed. Thermal regulation of incoming sea water using heat exchangers and chilling units as needed. Sea water salinities from the Flax Pond intake: normal range = 26-28 ppt. ; maximum range recorded = 20-30 ppt. Note: Two tables are equipped with separate outflow disposal systems for work with toxic materials. Building equipment: cold room, fume hood, refrigerators, freezer, microscopes, incubator, and reverse osmosis filtration. Sensors located throughout the facility monitor air and water flow, temperature, and AC power. A central elecronic monitoring station ensures that major building systems are on-line and functioning. Support personnel are on call 24 hours per day, 7 days per week. Miscellaneous: row boat for collecting in Flax Pond and beach seine. Take a virtual tour of the Flax Pond Marine Lab! Take a virtual tour of the Flax Pond Marine Lab! Use your mouse to click-and-drag the photosphere around to view the image in 360 degrees, and then click on the arrows to move to the next scene. Shinnecock Inlet: Temp 51.98° F Wind 9.8 mph from the SSE. Southampton: Temp 53.9° F Wind 13.0 mph from the SW.
HSC: Temp 60.8° F Wind 17.0 mph from the SSW. South P: Temp 61.4° F Wind 15.0 mph from the S.